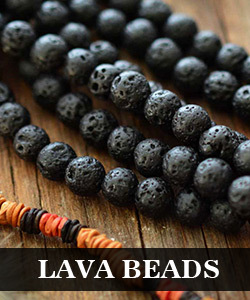 Summary: Searching for easy to make beaded bracelets? This is one of my free beaded flower patterns for bracelets! Join me and get a braided beaded bracelet back. 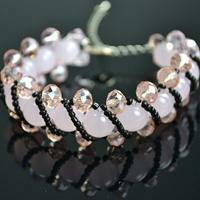 In the hot summer, a stylish braided beaded bracelet can sometimes highlight one's whole appearance. As being warmly welcomed by women, the beaded flower bracelet patterns have developed into multiple types and styles. This project for easy to make beaded bracelets suits those green hands. 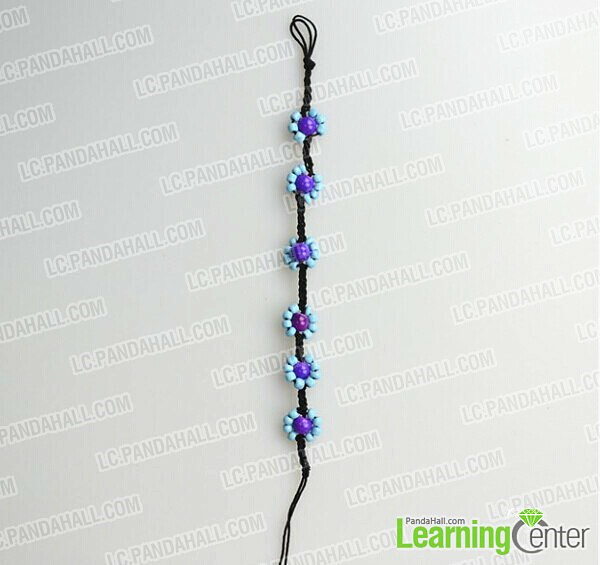 Then, just have a look on how do you make a beaded bracelet with threads. How do you make a beaded bracelet? 5th, stop to add on the beads when the braided part reaches about 2cm. 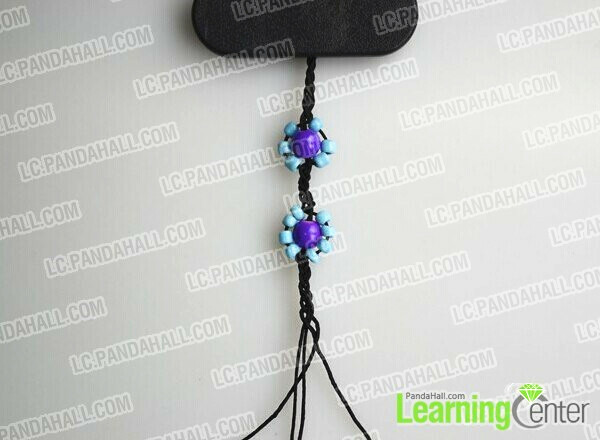 To finish this process, adds one Purple Baking Painted Glass Bead on the center cord (here, you can use a section of tiger tail to help guide the double Korea Cotton Wax Cord pass across the Purple Glass Bead), then the other two cord respectively add 3~4 pieces of Opaque 8/0 Glass Seed Bead. 2nd, then repeat the whole processes until you get enough beaded flower patterns for your bracelet length. 3rd, each cord attach insert another one Purple Baking Painted Glass Bead. Here you finish your braided beaded bracelet! When asked how do you make a beaded bracelet, you can share this tutorial with them. After this DIY, I believe you will be inspired to make more beaded flower bracelet patterns. 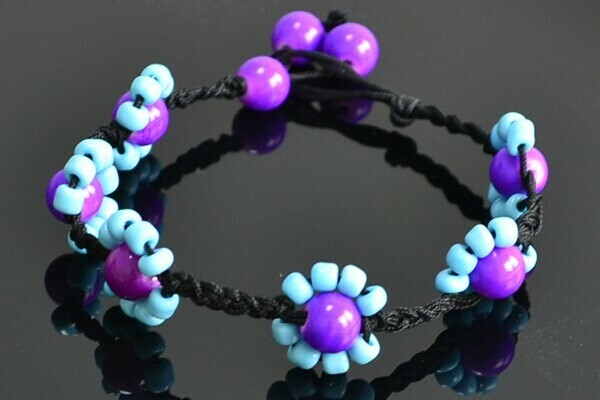 Make some easy to make beaded bracelets for your good friends, just enjoy yourself and have fun!